About 15 years ago the Postal Service installed "Cluster Boxes" (photo below) throughout our neighborhood which replaced the original banks of rural mailboxes. 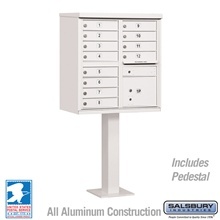 During the recent years, several homeowners reported that the locks for their individual mailboxes in the "cluster boxes" have become inoperable. It appears to be the result of rust in the lock mechanism. 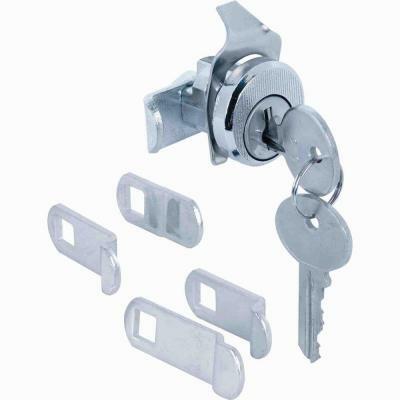 Replacing the lock is fairly simple, if you are the handy type. Home Depot sells a lock that seems identical to those in our mailboxes. The cost is less than $8.00. You may also wish to consider purchasing a small container of graphite lock lubricant. A homeowner on Datewood Drive unfroze her lock with this lubricant. You can purchase this lubricant at a hardware store or from Amazon.com. A small bottle costs around $6.50 and will last you many years. The least messy way to use the lubricant is to apply some to the mailbox key. Insert key and gently move back and forth. Repeat this process two or three times. The lock should then be moving freely. Wipe off excess lubricant. Please contact us if you have any ideas or questions on this subject.